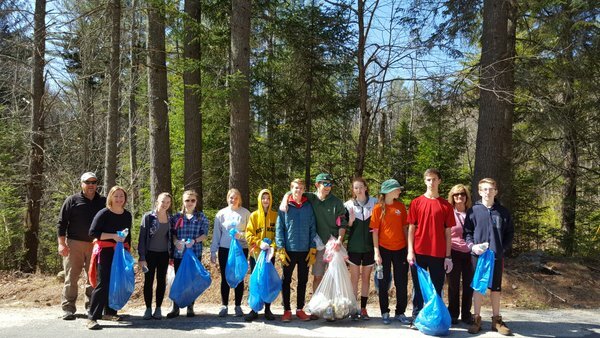 Our mission is to start a new Sunapee tradition; a town-wide road side clean-up day that fosters community spirit & volunteerism; educates about littering & recycling; and is fun for all. 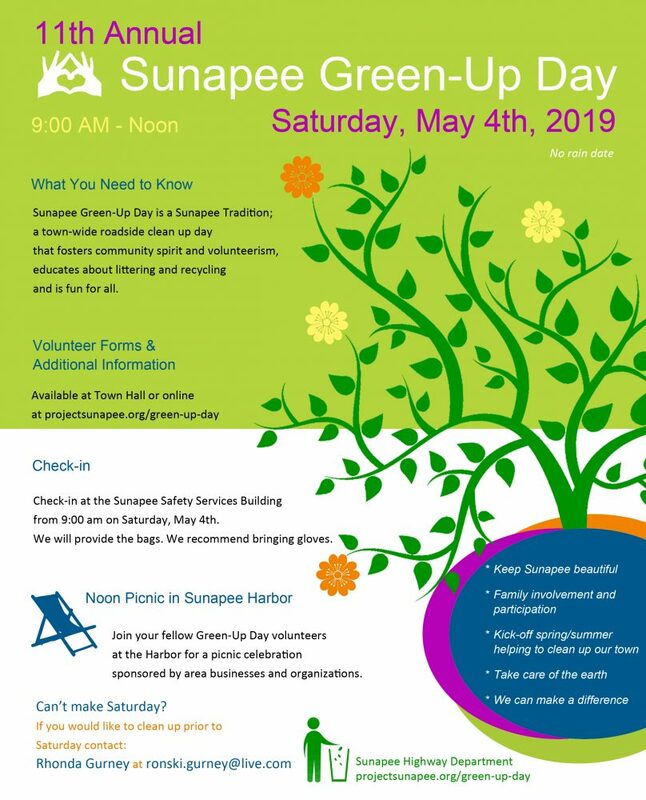 Sunapee Green-Up Day is a Sunapee Tradition; a town-wide roadside clean up day that fosters community spirit and volunteerism, educates about littering and recycling and is fun for all. Thank you for volunteering to help clean up our wonderful town! You may fill out your volunteer form prior to the event, download the volunteer form or pick one up at Town Hall. Check-in at the Sunapee Safety Services Building from 9:00 am on Saturday, May 4th. We will provide the bags. We recommend bringing gloves. Join your fellow Green-Up Day volunteers at the Harbor for a picnic celebration sponsored by area businesses and organizations.